The communities of the workforce at SunSelect will benefit from Fair Trade. Agriculture in California is a leading industry with cash farm receipts for 2011 totaling $43.5 billion (followed by Iowa $29.9b and Texas $22.7b). California farmers and ranchers produce more than 400 different crops and livestock commodities. California farming is family owned with less than 3% of California farmland owned by non-family corporations. In 2009 there were more than 81,000 farms in California, more than 65% of those are less than 50 acres in size. California produces 80% of the world’s Almonds and 99% of the nation’s pistachio’s with Kern County leading the state in production of both. Kern County leads the nation in carrot production. Our top ten commodities in ranked order are 1) Milk &amp; Cream 2) Almonds 3) Grapes 4) Cattle &amp; Calves 5) Nursery products 6) Strawberries 7) Hay 8) Lettuce 9) Walnuts 10) Tomatoes. We are the national leader in Ag exports. According to the UC Agricultural Issues Center each dollar of farm production produces a return of $1.89 to the local economy. The economic benefits of agriculture extend far beyond crop sales, supporting millions of California jobs. 1 job in agricultural processing is equivalent to 2.46 jobs in related fields. And, for every 38 acres of Ag production, 1 job in Ag is created, according to a survey by the EDD. *Which represents 76% of Los Angeles County’s annual agricultural revenue. *Which represents 73% of Kern County’s total agricultural revenue. In a world that has their focus on eating healthy and making the most out of the smallest available areas, it is important to find the right source for all your vegetable needs. SunSelect is a 64 acre hydroponics greenhouse, which grows peppers and tomatoes. 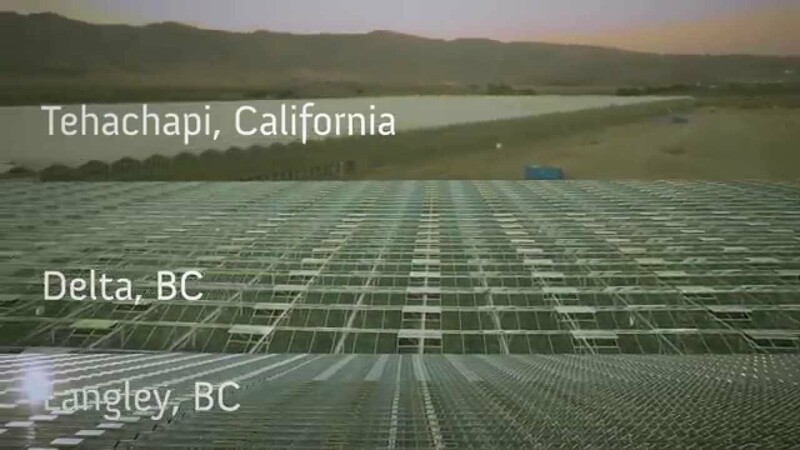 In 2015 the company expanded its 32 acre greenhouse located in Tehachapi, California to 64 acres. SunSelect innovative methods such as green carbon capture for their produce to help make sure they are providing the best product for their consumers. Green carbon capture is a process that involves the capturing of harmful CO2 gasses that is released into the atmosphere and utilizing them by delivering them directly into greenhouses where vegetables consume these CO2 gasses. Green carbon capture is an innovative way the company uses the most environmentally friendly method to help reduce the amount of CO2 that gets released and in the same time, help produce healthier and fresher vegetables. What green carbon capture does for our world? CO2 gasses greatly contributes to global warming and where the leading CO2 controlling methods involve burying these gasses under the sea, greenhouses eliminate the gasses and helps produce O2 which greatly reduces global warming and improves the quality life of people and reduces the carbon footprint that is left behind on our beautiful world. Insects like bees and butterflies are needed for the pollination of flowers which enables plants to produce vegetables. There are however a lot of insects that could harm vegetables. These harmful insects are controlled with a very natural method. SunSelect employed the help of predatory insects such as praying mantis to help control pests inside the greenhouses. This method of pest controlling is known as integrated pest management and is by far the healthiest way to keep vegetables safe without the use of chemicals that could harm people. The vegetables produced by SunSelect are a new innovation. A lot of research has to be done when new and innovative technology is used for the production of vegetables. SunSelect’s greenhouses are certified greenhouses which mean that the vegetables are grown according to strict standards. These standards ensure consumers that the food is safe, created under controlled hydroponic conditions and that sustainable indoor growing practices are conducted. Even the vegetable packaging and handling are conducted by trained personnel who handle the vegetables according to strict regulations and without the use of any harmful chemicals. The vegetable’s growth is monitored and controlled on a permanent basis and the greenhouse protects the vegetables from pollution, wildlife and contaminants so you can enjoy premium quality vegetables.